Now that I’ve left my office job and moved up to Rangeley, I’ve got the no-nonsense, all-weather, mountain-to-shore wear to prove it. Gone are the blazers and most of the Dockers, and any footwear that can’t function as either slipper-shoes or boot-sneakers. All terrain Tevas are OK, too, as long as they’re loose enough to strap over wool socks. I stay in my computer chair for shopping sprees, pointing and clicking, and hoping for free shipping and a lifetime return policy. Yup, I used to be a Maxxinista. Now I’m a “remote” retired technical writer who works hard to figure out just the right Rangeley outfit for any given moment. So far, I’ve been a couple weather patterns and a couple layers short of hitting it right. Up here, we don’t actually have summer, fall, winter and spring. We have summer (for about two weeks in August), almost winter, winter, and not-quite summer yet. Being weather-ready means having a huge row of deer antler hooks draped with all manner of L.L. Bean basics close at hand. It also makes putting anything under the bed or up in the attic because it’s off-season seem pretty silly. And you can bet I never bother to just “accessorize.” I don’t buy a plaid top just because one stripe matches a pair of mauve slacks waiting to be completed in my closet. All purchases must go with at least two other layers and, ideally, be water-repellent and wind-proof. “Look at this cool top I’m buying,” I said to Tom as I was doing some pre-beach vaca shopping. He gazed at the sporty little Spandex jacket on the Land’s End website and nodded his approval. “I’ll wear it over my bathing suit when I want an extra layer for snorkeling. It matches my suit perfectly! Plus it’s got some sort of sun shielding properties in the fabric.” Even so, long after I clicked “Buy,” I wondered whether I’d really get $50 worth of wear out of a bright aqua piece of beach wear called a “rash guard”. “Hey, Mumma, do you think I’ll wear this?” my daughter, Becky, asked a few months later. “Or will it just put me over the weight limit? I don’t want to pay a huge baggage fee for a yellow sweater that only goes with a few things.” Standing amid a sea of clothing, she was holding up a daffodil colored cardigan she’d plucked off one of her “maybe” piles. After spending a couple years living in the desert, a winter on the slopes in Colorado, and then a month rafting the Grand Canyon, she was packing to go teach in the Bahamas for a year. 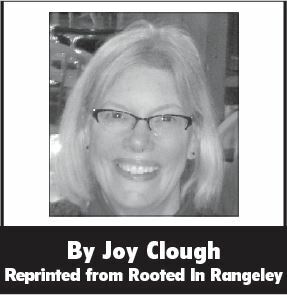 She was climatically confused, for sure, and coming to stay in Rangeley in May and June had messed her up even worse. “Maybe it’ll be good for layering if it gets cool at night,” she concluded, and stuffed it in the side of one of her honkin’ duffel bags. “Hmmm, maybe,” I said halfheartedly. I was in her room to offer moral support and, hopefully, a bit of motherly advice. But what did I know? I was confused and more than a little off kilter myself. Stretched out on the bed, I was gazing listlessly at the tan still showing on the half-inch of skin between my sock ridges and the cuffs of my fuzzy pants. And I was pretty sure there was still some sun-kissed skin on my forearms where the sleeves of my little aqua Spandex jacket had left them bare and warm, even though I’d been too bummed to look for a month. You betcha, I’d worn the thing—not in Rangeley yet…maybe not ever in Rangeley—but on the balmy island of Bonaire. A few weeks ago, it matched the Caribbean blue sea perfectly and had been my must-have layer for snorkeling and then sitting for hours sinking my sock-less feet in the sand. “Yeah, layering is good, Becky,” I sighed, envying her upcoming destination but not her current location in cold, damp Mooselook surrounded by four seasons of gear busting out of giant Tupperware totes. Ah, that was the year I was going to return to Rangeley with spring in full swing. None of that still winter, not-quite spring crap. That was the year I’d keep my island clothes close by instead of waiting to haul them all out again sometime in August. After all, ice out had come wicked early and folks told me on Facebook that, the minute I went away, it was 80 degrees in Rangeley—”the same temperature” I thought required a long flight south. Strategizing on the plane ride home, I had a smug grin a lot like the girl in the TJ Maxx commercial. I was going to think positive, stay on top of my fashion game, and swap tank tops for sweaters the minute I got home because I’d need that summer stuff soon! And, for the first year in my adult life, I’d done just that. I had all my woollies stored and my light ‘n airy clothes handy. No procrastination. No digging through Tupperware. I was ready to enjoy quality time with Becky, to guide her in being practical yet fashionable, to get her in the tropicalspirit.